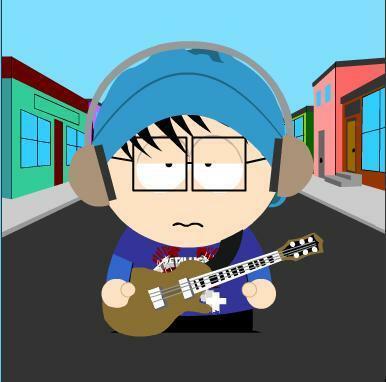 This is me. This is fun. Thanks Billy. R&B, or soul music. It draws from the joyous singing of gospel, and delivers some of the most passionate songs on record. Needless to say, it has produced some excellent vocalists and, through its offshoot genres like funk and reggae, some seriously groovy rhythms. Yeah, I heard the Simply Red version first but, listening to the original, it didn't need much improvement. A distressing tale of crumbling love, the song draws out the drama slowly, as if unwilling to let this relationship end. Spine-tingling moment: "What good is a love affair, when we can't see eye to eye?" An obvious heartbreaking question. Party time! Bring out the horns, slap on the funky groove, and scream the chorus. Don't think. Here, some booze may help. Spine-tingling moment: I'm seldom as keen on joyous trumpets as this one. One of my pet peeves is divas who think that screaming at the top of their voices means soul. (Don't look away, Mariah, Whitney.) Want soul? Check this smouldering, seven-minute slow burn from my favourite chanteuse. Not a single vocal leap, yet you can hear every desperation. Spine-tingling moment: The subtlety is also in the groove - jazzy, yet insistent. God, 17 years old only?? It's a magical voice she's blessed with and, thankfully, she lends it to lift stately songs like this. Spine-tingling moment: When her voice enters amid tasteful guitar lines - all shivery and luminous. R&B duets are often tacky, but trust the top soul man IMHO to spill the passion with his regular partner, Tammi Terrell. At just over two minutes, the song's not drawn out like most other duets, but Gaye and Terrell makes it urgent enough to make us feel the love between. Spine-tingling moment: When Gaye "oooohs" to start the rush of love. Groove is a peculiar thing. You either have it inbred, or you have to work hard at it. Funkadelic, for sure, have it inbred. This invitation to dance is so elastic, so rubbery, sitting down is a crime. Spine-tingling moment: "One nation under a groove/Gettin' down just for the funk of it/One nation and we're on the move/Nothin' can stop us now." Gently, this hymn works its charms. So many artistes have covered this song, yet when I heard this original version it still tingles with its pure gospel soul. Spine-tingling moment: When everything drops away, leaving only the exquisite harmony: "You just thank the Lord." Driving Motown classic, with booming beats and infectious vibe. As soon as the horns blare out, you're caught in the Motown magic. Spine-tingling moment: Gorgeous horns after the opening drum roll. With a double bass and piano as his only accompaniment, Wonder wrenches a world of hurt with his emotive vocals. The sparse arrangement only adds to the loneliness. Spine-tingling moment: The exqusite piano riff draws the listener away from the pain. The only reggae artiste that matters. The classic reggae beat is married to an impossibly soulful love song that soars to moving heights in the live version. Contrary to the song title, just listening to Pete Tosh's liquid guitar is enough to make one weep in joy. Spine-tingling moment: Wait for Tosh's solo. It's worth it. The most un-categorisable band ever. Rock? Rap? Funk? Since I grouped funk with R&B, here's the salacious foursome with their biggest hit. And it's an ode to a tragic city so beautiful, you wonder if Anthony Kiedis drew his strength from all the R&B soul men. Spine-tingling moment: The song takes flight on the warm guitar intro, and lands on the chilling guitar outro, both courtesy of the underrated John Frusciante. The Reverend exudes joy in every song, a rarity in most singers, who are usually tortured souls at best. =p So smooth and silky is his delivery, one would guess he entered reverend-hood to evade the hordes of women taken in. Spine-tingling moment: When he leaps into falsetto heaven: "Let's..........Let's stay together......"
A force of nature, Redding erupts like a volcanic soul on this momentous track. What a thrill listening him build from a stately ballad to near hysteria in the end. Spine-tingling moment: When he holds nothing back in the end: "You gotta hold her/don't squeeze her/never leave her/you gotta hold her/and never/so try a little tenderness" Insane lyrics, huh? The Purple One's eccentricities hide a singular talent that can flit through every genre with apparent ease. This is his best R&B song, modernised with synth and filled with double-entredres that only his dirty mind can come up with. Yet the pop sensibilities are evident, as soon as you hit the chorus. Spine-tingling moment: The wondrous three guitar notes after Prince sings the song title. The best R&B lyricist, even Bob Dylan praises him. Robinson's imagery is so stunning, it takes a while to marvel at the poetry. This song is catchy and soulful enough, and then you listen to the lyrics. Spine-tingling moment: "So take a good look at face/You'll see my smile looks out of place/If you look closer, it's easy to trace/The tracks of my tears." Gorgeous singing + a deathless melody = undisputed classic. It is deceptively simple, but Wonder piles in the subtle minor-key flourishes and jazzy grooves, and then makes the song stick in your head forever. Wow. Spine-tingling moment: "You are the sunshine of my life/Forever you'll stay in my heart." So shatteringly simple. The ballad that defines stately, and not because it's the state song of Georgia. The weepy strings, the awesome soul of Ray Charles, and the timelessness of the lyrics, it all adds to a top-notch soul classic. Spine-tingling moment: The languid pace sets up Charles' exquisite phrasing: "Georgia......Georgia.....no peace I find.....just an old sweet song.....keeps Georgia on my mind." Soul music as protest song. Cooke's visionary 1962 standard sets the agenda for every hip-hop and rap protest 30 years on. Every line is sang with gut-wrenching soul, so much so the overwrought orchestra arrangement pales in power. Speaks a lot about Cooke's majestic talent. Spine-tingling moment: The most important two lines in soul music history: "It's been a long, long time coming but I know/A change is gonna come, oh yes it will." In which Gaye emulates his hero Sam Cooke in writing a social-conscious song, but ends up with something far more transcendent than anything R&B has ever produced. Gaye's genius is his subtlety in sending his message across. Never strident, the song builds upon a smooth jazzy groove as Gaye's silky vocals tracks the turbulent age that was affecting his family. The "Mother mother" and "Brother brother" refrain works wonders, as he rages quietly at the destruction of his family. The tone remains calm as he urges all to see what's going on. A impeccable classic that crosses all boundaries. Spine-tingling moment: The chilling pre-chorus: "Picket lines and picket signs/Don't punish me with brutality/Come on talk to me, so you can see/What's going on." One final word on the NKF saga, on a personal note: It's times like these when I am proud of my profession. Journalists have been accused of sensationalising, of plagiarising, of slandering, of self-censorship in case of offending the government, of unprofessional behavior. But when they hit paydirt and bring a deceiving liar like T.T.Durai down, I feel pretty good. We live for times like these. To think the fool shot himself straight in the foot just makes me wanna laugh out loud. The original Susan Long piece that started it all. It's a long but good read. The NKF: Controversially ahead of its time? Controversy stalks the National Kidney Foundation, with critics lambasting its fund-raising methods, brazen self-promotion and work practices. Is the NKF just a cutting-edge charity ahead of its time, or is there more to those rumblings? A RETIRED contractor who wants to be known only as Mr Tan used to be a National Kidney Foundation (NKF) donor until he was hired to install some bathroom fittings for its new headquarters at Kim Keat Road in 1995. Inside chief executive T.T. Durai's office suite on the 12th floor of the $21 million building, he says he 'lost it' when he had to install, among other things, a glass-panelled shower, a pricey German toilet bowl and a gold-plated tap. 'I started screaming my head off. 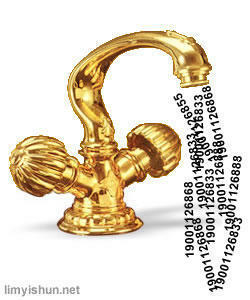 The gold-plated tap alone cost at least $1,000. It was crazy. If you're Bill Gates and own your own multinational, whatever you want, fine. But you're a charity, using donors' money,' he huffs. After his outburst, he was told to 'just do' his job. The shower stall remained, but the taps he eventually installed were 'scaled down' to an upmarket chrome-plated model. To this day, the 54-year-old belongs to NKF's die-hard detractor camp, unmoved by its shining success in social entrepreneurship and its track record in saving lives. In the past fortnight, the NKF has hogged the headlines. Propitiously, the news of its amazing $189 million in reserves broke the very day it celebrated its 35th anniversary on April 7. Since then, a stream of more than 130 people - former employees, former donors and disgruntled members of the public - have e-mailed or called this newspaper to let off steam about its hard-sell tactics, thick carpets and controversial chieftain. At the same time, about 30 others, individuals and organisations, have sent in letters of support for the organisation, praising its dialysis programmes and pledging continued donations. So far, the NKF kitty appears none the worse for wear despite all the caterwauling. On April 11, its 11th NKF Charity show raised $6.7 million, just a fraction short of last year's $6.8 million. Last night, it netted another $6.4 million. These serious sums of money - how the NKF gets it, spends it and accounts for it - have been a well-gnawed bone of contention among its naysayers. Way before details of its $5 million tie-up with insurance giant Aviva unleashed a ferocious debate on donor privacy issues, charges of 'invasive' fund-raising have dogged the outfit. But the NKF has made no bones about gunning for the charity dollar - the more the merrier, just like any other profit-and-loss business. Relentless innovation over the years has brought new ways of fund-raising: greeting cards, live charity shows, donations via SMS, consultancy services, even selling its spare telemarketing capacity to private companies. In the social service sector, the NKF is the unparalleled paragon of the art of 'heart sell'. Most impressive of all, notes Mrs Tan Chee Koon, executive director of the National Volunteer and Philanthropy Centre, is its ability to tap on the health screening it conducts for heartlanders to ensure a 'sustained pool of regular givers'. Unlike many charities which rely on large, one-off infusions from wealthy foundations, NKF's bread and butter is the $3 to $5 monthly Giro donations from about one million ordinary Singaporeans. With such a big base of small heartland givers - its website says nearly two out of every three Singaporeans are donors - the pennies add up. But the NKF's head of what it calls 'prevention marketing', Ms Shirley Tan, makes no apologies for the 'heartfelt pleas' it delivers along with its basic health checks, which she notes would cost at least $60 in private clinics. She says these are 'free-will offerings' and the 'evangelists' have no financial targets to meet at each venue. NKF chairman Richard Yong, 63, a former private banker who has been on the NKF board for 18 years, makes clear that lucre is the necessary lifeblood of the organisation. Every cent literally buys time for each patient. And the NKF's mission to save the lives of those with kidney failure is undeniably daunting, which explains why there are no other self-funded, non-profit dialysis providers in the world. Each patient is admitted for life - or until they are lucky enough to get a kidney transplant. The average life expectancy of those on dialysis is 10 to 15 years, at a cost of $150,000 upwards a head to the foundation. Mr Yong says patients themselves pay from nothing to $800 each month for three-times-a-week dialysis which would cost at least $3,000 each month outside. The incidence of kidney failure here - increasingly a lifestyle disease closely associated with diabetes and hypertension - is now the third highest in the world, trailing only affluent countries like the United States and Japan. This, coupled with a fast growing grey-haired population, means that the NKF has plenty of costly work cut out for it. Its money-minting machinery, however, was not always so hard-nosed or well-oiled. Starting out in an unprepossessing Singapore General Hospital attic with just two beds and one metal tray in 1969, Mr Yong says, it battled the same growing pains that less publicised, cash-strapped charities face today. When it set up its first dialysis programme in 1982 in Kwong Wai Shiu Hospital, it dispensed free treatment with little regard for outcomes and costs. In 1986, it ran out of money, so he and other board members had to make the heart-wrenching decision of who among their 32 patients should continue with dialysis, and who would have to be sent home with morphine to die. 'I couldn't sleep; I couldn't eat. Who were we to play God?' he recalls. It hit home then: It was important to have 'healthy reserves that can withstand even the most dire economic times', and self-generated income 'so that we can be independent, instead of on our knees, poor and begging for life'. So the irony is that, despite being one of the oldest, the NKF is yet one of the most progressive charities here. As a mature 35-year-old, it is looking at sustainability and continuity issues for the next 100 years, even as most other voluntary welfare organisations (VWOs) grapple with day-to-day survival issues. In the international arena, it is such a trail-blazing model of social entrepreneurship that American universities like Harvard, Johns Hopkins and the Massachusetts Institute of Technology have done case studies on it. Locally, however, it is so far ahead of its time that society has yet to keep pace. Unlike in the West - where charities aggressively campaign for the charity dollar, professional fund-raising is a bona fide industry and tie-ups with commercial entities are old news - the social sector here unfortunately is still in its infancy. According to Mr Terry Farris, head of charity management for Asia at European private bank Mees Pierson, the fact that it costs money to raise money- the accepted norm, he says, is now 15 to 20 cents out of every dollar - may not have sunk in here yet. Many VWO chiefs note there still exists an arcane expectation that non-profits should survive on the 'goodwill and sacrifice' of volunteers, even though it is recognised worldwide that the public good is much better served by hiring professional managers at market rates. THE NKF has tried to break away from the 'third-tier' image charities suffer from, by sourcing for talent worldwide and paying them fair market value. It does its recruitment drives at top institutions like the Indian Institutes of Management and Beijing University, competing with the likes of General Electric and Morgan Stanley for the best brains money can buy. Since 2001, it has also tapped the skills of a steady stream of MBA interns from top business schools like Harvard and Stanford. Its staff strength is 947, a figure that NKF defends as necessary to man the three shifts of dialysis sessions, each lasting four hours, which its 22 centres around the island run daily. Pressed for details on staff composition, Mr Yong said 'more than half are medical personnel'. The rest are spread among the administrative, marketing, fund-raising and communications departments. The taboo it seeks to break is that charity is synonymous with poor quality. As Dr Gerard Chuah, an eye surgeon and chairman of the NKF Children's Medical Fund, says: 'What bothers me is when people say, why can't you continue to function out of containers? Hello, just because we're a charity doesn't mean we have to operate in a hovel out in the rain. Even when administering its dialysis and patient rehabilitation programmes, the NKF approach is controversial. You might call it 'tough love'. According to Mr Job Loei, a dialysis patient who also helps counsel new admissions at NKF, those wallowing in self-pity are set straight. NKF demands that patients co-pay for dialysis, hold down jobs and stick to their diet - or pay more. Patients' fees, for example, are reduced by $50 to $100 as an incentive, if they find a job, get promoted, tie the knot, give birth, or even when their school-going children score As. It helps patients find jobs, provides courses to upgrade their qualifications and holds personal grooming classes to help them remain attractive to their spouses. If their children's grades slide, it even helps engage, and provides subsidies of up to 80 per cent for, tuition teachers to coach them. As a result, 93 per cent of NKF dialysis patients work, support their families and lead productive lives, compared to less than 60 per cent worldwide. The general philosophy is: No free rides. LIKEWISE for employees, adds Mr Loo. They are constantly reminded that their wages come from donor dollars. To prevent wastage, there is an extensive list of fines, from $5 for getting to work five minutes late, to $30 for forgetting to switch off the lights. All staff functions are held in the in-house auditorium 'for fear of being labelled spend-thrift' if they venture outside. For the record, Mr Yong says, there is no such thing as 'first-class travel'. Senior executives, from directors up, including CEO Mr Durai, fly business class. The rest fly economy. Little is known of Mr Durai, 56, apart from the fact that his name T.T. (Thambirajah Tharmadurai) means a charitable man in Tamil. A former presidentof the then University of Singapore Students' Union, he graduated with a law degree and worked in the government legal service for six years until 1977. The elegant and eloquent man eschews publicity and, despite 3 1/2 hours spent with top officials at the NKF last week, this reporter received only a handshake from him. No quotes. His staff know him as a 'visionary' who cares deeply for NKF patients and knows each one by name. He is also a 'tough taskmaster' who works from 6am to10pm, and eats and showers in his office. He is said to run a tight, results-oriented ship, with a labyrinth of departments within departments and units within units. But even the most embittered acknowledge it is a 'dynamic' workplace and training ground. Its staff turnover is high; employees are so often poached that managers now have to sign three-year contracts. One downside cited by former employees is a corporate culture described as 'cagey', in which staff are discouraged from discussing finances. Despite much public prodding and the Finance Ministry's encouragement to charities to reveal the salaries and benefits of their top employees, NKF top guns are sticking to their guns not to allow more public disclosure. But therein lies the chink in an otherwise spiffy armour: NKF's forward-looking business model lacks the financial transparency that would enable it to stand tall and get out of its controversy-laden shell. After all, if it is governed by the creed of the marketplace, it should also apply rigorous standards of disclosure and accountability. As society matures, says Mr Farris, people will have higher expectations of non-profit governance. On the NKF's part, so often has it been bad-mouthed - which it attributes to 'professional jealousy' - that it seems to have developed a persecution complex of sorts. 'Why is it us, always us?' is a plaintive cry its board members often utter.It has also gone beyond plaintive cries, to being the plaintiff in defamation suits - at least three times. In 1999, for instance, it sued Madam Tan Kiat Noi for sending out an e-mail message accusing it of paying ridiculously high bonuses to its staff. An estimated 100,000 people received it. The case was settled after she apologised publicly, and paid $50,000 in damages, as well as NKF's legal costs. Whither the NKF from here? Although it continues to bid the public judge it by its works and its effectiveness, detractors will continue to be fixated by the shroud over its numbers. Like it or not, rumblings are likely to persist until there is more publicly-transparent accounting. - No.1 Lesson learnt by NKF: Don't ever, ever, ever, ever mess with my frigging company. 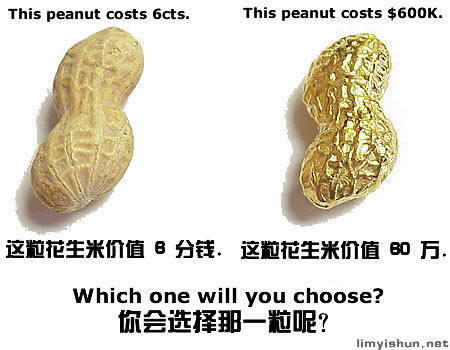 - Which newspaper has the balls to shoot down Mrs Goh's "$600,000 is peanuts" comments??? Sadly, not mine. - Some people are saying we should still support and donate to charity. But I'm on the side of the over 4000 dudes and dudettes who cancelled their donations. I figure, since the NKF has OVER 30 YEARS' RESERVES, maybe sucking those reserves dry can make them feel more humble about their main objective. - Don't mean to gloat, but I began doubting NKF the moment they made more TV shows to plead for our hard-earned cash. To invite the foreign artistes to sing for charity means to pay for their appearances. That is a lot of money to spend on bringing them in. Damn right I was suspicious. - Why do Singaporeans always go overboard? What started off as a noble cause is ruined by one person who went overboard with his greed. Does he need to show off that he is rich enough to own a golden tap and eight Mercs? It's totally unnecessary. Come see the entire Live 8 concerts, on quicktime. - Just emerged from a mind-sapping six days of intense work. Trying to design newspaper pages without knowing what stories would come in, 2 freaking hours before deadline, is no joke. I'm a time-conscious guy, I like to be punctual, and I was basically trying hard not to freak out when my boss said: "Drop this story, wait for another one, which may or may not come because we don't what the VVIP's gonna say." - I stll think the IOC Session is an over-important AGM, and the media circus was over-orgasmic over some banal issues. The bid of 2012 Games is the only exciting event, thankfully not anti-climactic. I would have hated it if snobbish Paris had won. - Of all the sports stars that gathered, I wanted only one autograph. However, the man was too frail to do so, and his minders were, well, mindful. Still The Greatest to me, Muhammad Ali. - The London blast felt unnerving, cuz I had stayed near the Edgeware Station during my trip in May. I had also transferred trains at King's Cross Station. The Piccadilly line? I took it to reach Arsenal's stadium. It's strange when you know a foreign city so well. - Best headline for both London's winning the 2012 bid and being terrorised? "WHAT A BLAST!" - Took the two Interpol LPs and listened to them on my car for the whole week. They're starting to become the soundtracks to my current life. Bleak, noctural, yet strangely romantic and utterly uplifting. Hope they drop by. - It was a mixed bag of emotions, as I met my old JC friends for dinner. Some of them are pregnant, some of them plan to get married, some of them got new partners. JM remarked: "You're still the same guy." Certainly, she meant it as a compliment, that she finds comfort in that. I can't say the same for them. It's a tad disconcerting to find them talking about settling down, getting a house, preparing for a baby. I guess, after 12 years of knowing one another, change is inevitable. But I'm happy for them and, deep inside, I long to be like them. Changing to a different stage in my life. What's keeping me from doing so? I suppose, being schooled in the punk philosophy, part of me likes to keep that freewheeling spirit and not be bogged down by commitments. I dunno, but the biological clock is starting to tick a bit louder. "I will surprise you sometimes, I'll come around when you're down....."
- Latest gaffe from my 160-year-old newspaper: "Oasis bassist Andy Bell, former lead singer of Erasure." - Although, I must say, it's a pretty cool idea to find the people in those old memorable photos. I've just found my next favourite stand-up comedian. Totally un-PC, filled with vulgarities, and side-splittingly funny. Ladies and gentlemen, George Carlin.